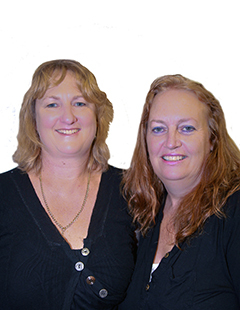 Heather has been entrenched in property management since 2004, the entire time in Katikati. So she knows the Katikati landlords and tenants well, along with the nature of our local environment. She worked in a local office then grew the confidence to branch out on her own with her own business. Her own business was very successful, however, with the expanding needs of her growing family, when the current owner at the time of EVES Realty Katikati, approached her to join the EVES Katikati team and combine her portfolio with EVES, she saw this as a wonderful opportunity to keep growing the portfolio in a team environment and at the same time giving her more family time. The office manages around 240 properties and has room to easily take on more managements due to the streamlined systems that the team has in place. Asking Heather what she feels are the advantages of working with EVES Realty "Our strength in the market place is positive, the team are great fun to work with and the well organised systems allow us to do what we do best - look after our clients and their investments". Heather is a landlord in her own right so understands what a landlord is looking for in a property manager. Her previous working life was with Trust Care as an Administrator and Parafed Auckland working with clients with disabilities - both these positions have assisted Heather with her excellent awareness of 'people needs' and reading them so well. Asked why she has chosen property management as her career "I like working with a variety of people and assessing their needs. Every day is different. Good communication is essential and I find this easy to do. I help "solve problems" - I love my work". Being a successful property manager also requires continual training to keep up with law changes and altering legal requirements. EVES Realty have stringent training in place for the teams of which Heather and her colleagues enjoy - not only for learning but also to network with the EVES Property Managers from all the other offices. Heather feels that our landlords choose our office due to the experience of personnel, the longevity in the industry, the awareness of the networking and good secure relationships. Ask Heather what makes a successful Property Manager - she quickly replies "Communication". Deb Christensen has been in the property management industry since 2009. She is proud to be one of a close supportive team managing 240 properties at EVES Katikati, the most established and leading property management company in the Katikati area. Not many property managers can claim to have been PA to the manager of one of the largest underground mining companies in Western Australia! Deb came to property management in administration and was a PA when the opportunity arose to become a manager. "I jumped at the opportunity to work in a changing and challenging industry and have not looked back." She has owned her own properties in both Australia and New Zealand for over 25 years. She sees property management as a fluid industry where never a day goes by without learning something, either in her dealings with landlords and tenants, through shared team knowledge in the office or via the ongoing training seminars run by professionals in the industry. Deb is a very active and energetic property manager with a strong work ethic which demonstrates that being pro-active rather than re-active creates effective management where issues are addressed before they become problems. The Katikati team manages properties 'right across the board' from modest one bedroom flats to executive lifestyle properties so managers wear many hats and deal with a wide cross section of society. Deb's ability to relate easily to a range of people is a definite asset. On the rare occasion a client cannot get instant access to Deb she is probably at sea. "My passion outside my work and my family is big game fishing."